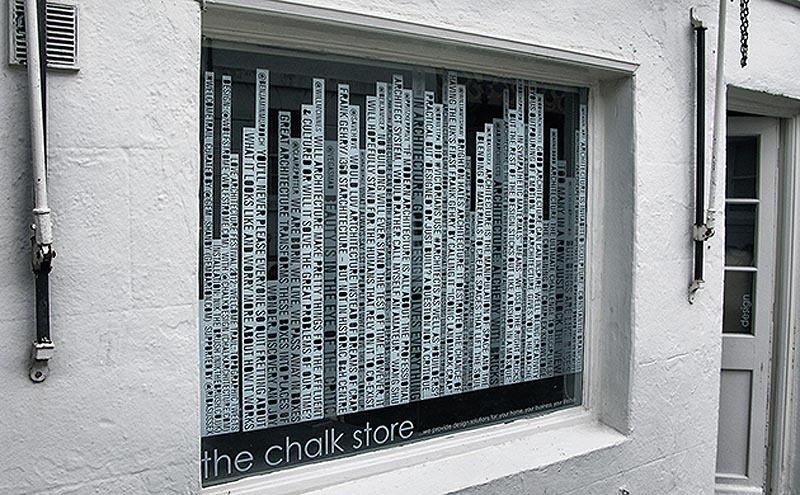 English designer Richard Wolfstrome partnered up with Chalk Architects to create Topographic Tweets, an installation in the Chalk studio window for the Welcome Trail as part of the Love Architecture Festival 2012 in Brighton, UK. This ‘pop-up’ installation took 10 days from concept to finished execution. 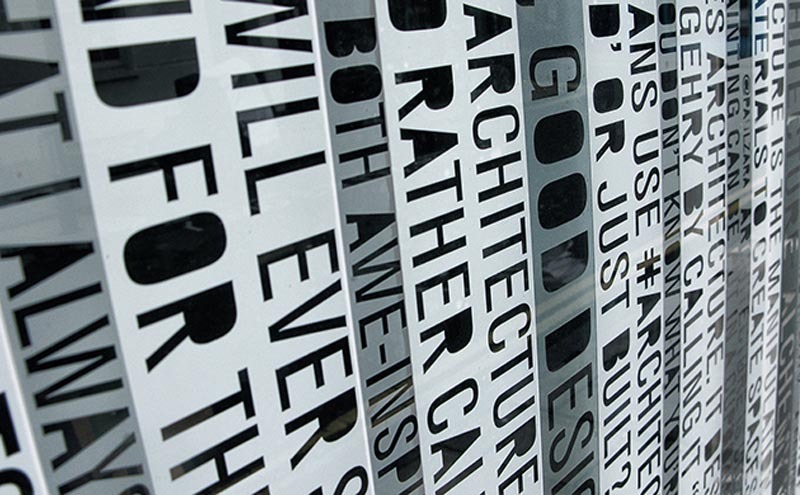 Topographic Tweets invited tweeters to express an opinion, a view, an idea, contentious or otherwise, about architecture, which were designed into a typographic urban landscape. Strips of texts rising up the window in different shades of white, grey and frost give the impression of a skyline where the lettering, absent their counters (spaces in letters), ‘light’ up the architectural form. Fabrication and installation by Nik the Brush. This entry was posted in Event, Graphic Design, Street Art, Typography. Bookmark the permalink.